St. John Paul II, whose feast day we celebrate on October 22, was a tremendous advocate of young people. 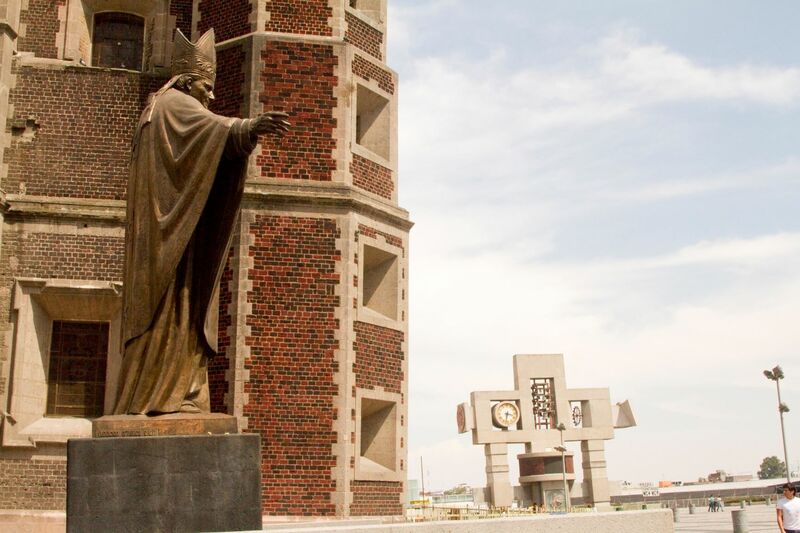 Under his papacy the first World Youth Day was celebrated in 1986. He often spoke directly and lovingly to youth in his letters and talks, urging them to give their lives to God and to never give up hope. The Synod on Young People, the Faith and Vocational Discernment, will close on October 28. The Assembly—a year and a half in the making—began on October 3, with over 300 participants. Synod delegates from around the world, including 36 young people, bishops, members of the Roman Curia and representatives of various religious orders, are discussing issues related to young people and the Church such as vocational discernment, the transmission of the faith and how the Church can more effectively engage with young people. Through the Synod, the Church is fulfilling St. John Paul II’s belief in young people’s important role in the Church and in the world. As the international humanitarian arm of the Catholic Church in the United States, Catholic Relief Services also works to encourage young people and empower them to live fulfilling lives with dignity and hope. CRS recognizes that the world’s future lies with young people reaching their full potential. Accordingly, we invest in programs that teach youth crucial life and vocational skills, and how to be leaders in their communities. In the photos below, we hope you see, as we do, the face of Christ—and hope for the world—in the faces of these young people we are so privileged to serve. In Liberia, young people have limited opportunities to generate enough income to earn a living wage. 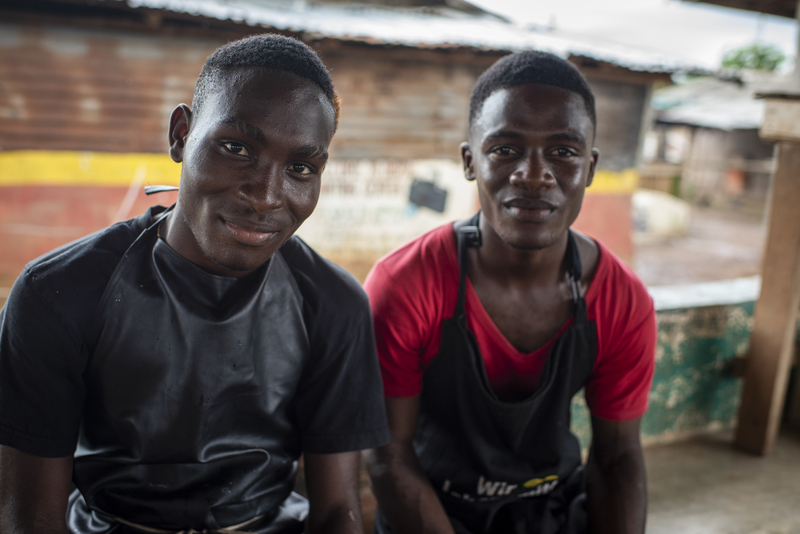 Isaiah Kpehe, in red, and Emmanuel Datokpah are young entrepreneurs creating soap products that they sell in their community just outside Liberia's capital city, Monrovia. They are part of ASPYRE, the CRS Activating a Supportive Platform for Young Rural Entrepreneurs project, which provides business support to 225 youth across Liberia. Through ASPYRE, Isaiah and Emmanuel can learn business skills, earn more income, save money and grow their business. Cesia Lea Hernandez Gomez, 21, graduated from the CRS YouthBuild program in Somoto, Nicaragua. YouthBuild trains young adults in life skills, job skills, entrepreneurship, community saving and community service. Cesia received plants and fertilizer through YouthBuild. Now she rents a parcel of land to grow peppers, tomatoes and onions to sell in her own store. The program adapts to market demand so youth can get jobs or run successful businesses once the program concludes. 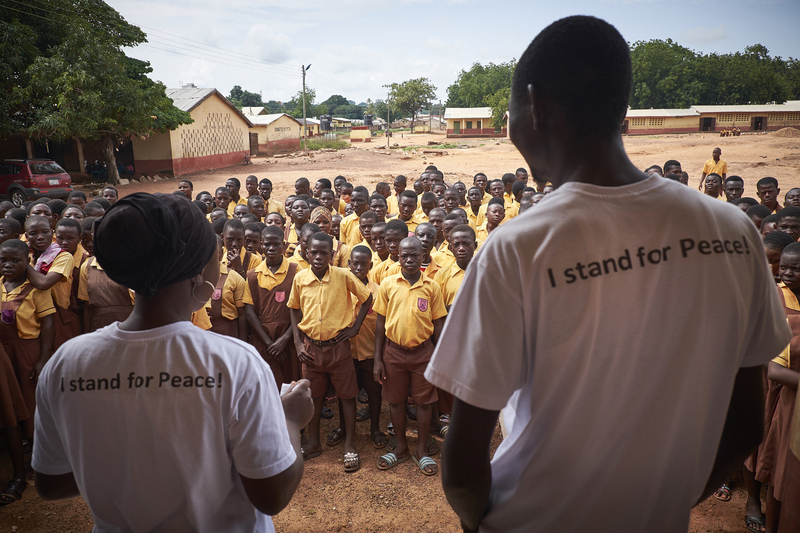 In Ghana, Young Peace Ambassadors speak to school children promoting messages of peace. CRS worked with local diocesan, youth and technology partners, as well as local organizations and communities for the Promoting Peace in Northern Ghana project. Young people were trained and deployed as youth leaders to promote sustained peace and conflict transformation in their communities before, during and in the immediate aftermath of the 2016 general elections. Platforms such as radio, dramatizations, photography, sports, dance, music and art were adopted by the Young Peace Ambassadors to promote peaceful elections and non-violence. 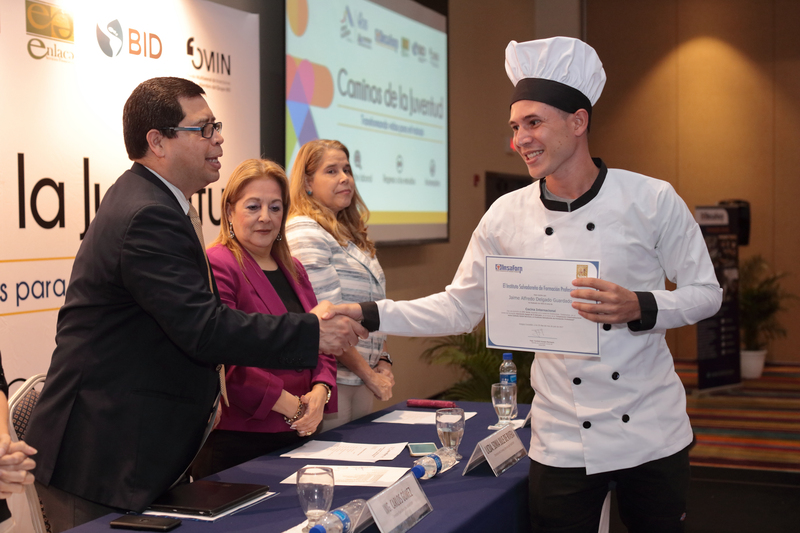 Jaime Alfredo Delgado Guardado receives a diploma during his graduation from YouthBuild in San Salvador, El Salvador. El Salvador is one of the most violent countries in Latin America, and youth are one of the biggest targets of both violence and gang recruitment. YouthBuild works with at-risk youth between the ages of 16 and 25, providing them with intensive workshops to develop skills for work and for life. The program offers many young people an opportunity to provide for themselves and their families—and avoid criminal alternatives. It also helps them develop their own business plans, encourages them to finish their education, or land their first jobs. 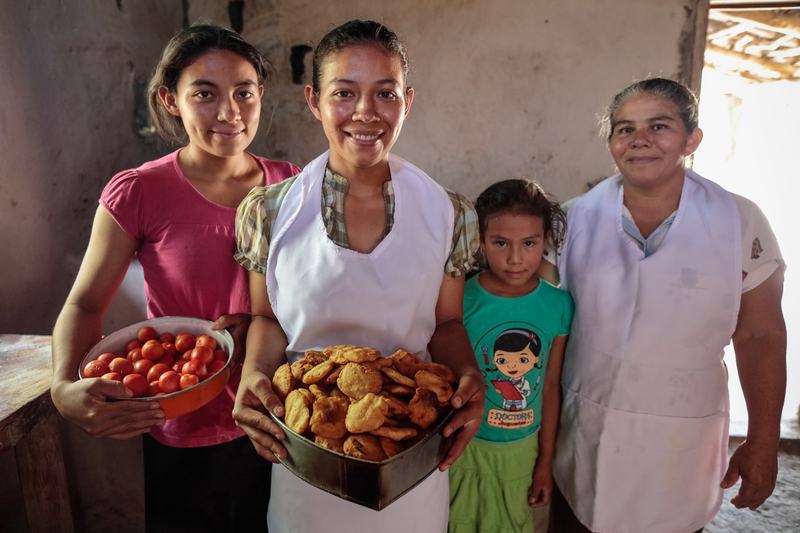 Young people participate in a CRS YouthBuild cooking workshop in Ciudad Quetzal, Guatemala. Ciudad Quetzal is an at-risk community where YouthBuild offers vocational and personal training to youth, involves them in community development and helps them find job opportunities. Since 2009, YouthBuild has reached more than 7,000 young people in Latin America, and 70% have found jobs, started a business or returned to school. As St. John Paul II said of young people, “The Church needs your energies, your enthusiasm, your youthful ideals, in order to make the Gospel of Life penetrate the fabric of society, transforming people’s hearts and the structures of society in order to create a civilization of true justice and love.” CRS believes in investing in our youth so that our world may be transformed into a place where all people may live in peace and dignity. Invest in our world’s youth, invest in our world’s future.